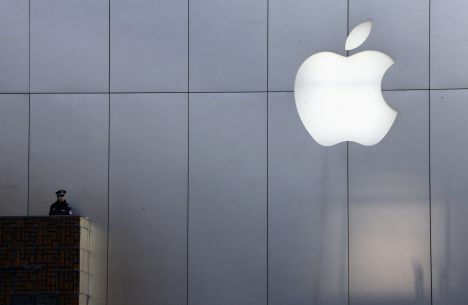 U.S. tech giant Apple cited weak iPhone sales and a lower sales in China as it reported a 4.5% drop in revenue in the last quarter of 2018. British news portal The Guardian reported that the American firm had revenues of USD 84.3 billion (EUR 73.8 billion) in the three months ending 29 December compared with the same period last year. Profits fell slightly to USD 19.97 billion (17,4 billion euros). Revenues from sales in China were USD 13.17 billion (EUR 11.54 billion) during the quarter, a decrease of nearly USD 5 billion (EUR 4.4 billion) from a year ago. The financial results also come a day after Apple tried to repair a glitch with iPhone’s FaceTime, a video chat application, that allowed users to listen in on the people they were calling when they did not pick up the call. The firm was forced to disable its Group FaceTime feature after it was revealed the bug allowed people to listen to the people they were contacting before they answered their phone.